'UK ambassador' conversation on Libyan State TV Jump to media player Libyan State TV has broadcast what it claims is a telephone conversation that took place between Richard Northern, the British ambassador to Libya - who left the country last week - and a spokesman for Libyan former justice minister Mustafa Abdel Jalil. 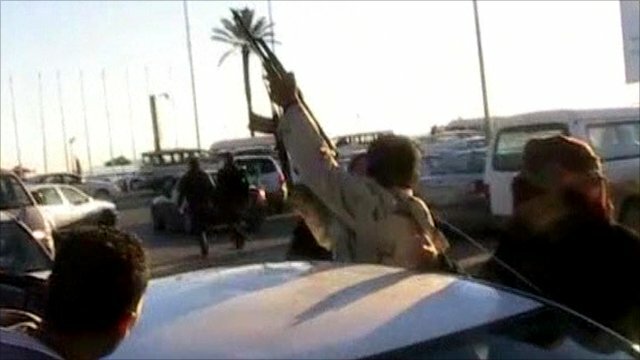 Ras Lanuf 'still in rebel hands' Jump to media player Amongst the overnight victories claimed by Colonel Gaddafi's supporters was the re-capture of Ras Lanuf, which is a major oil port. 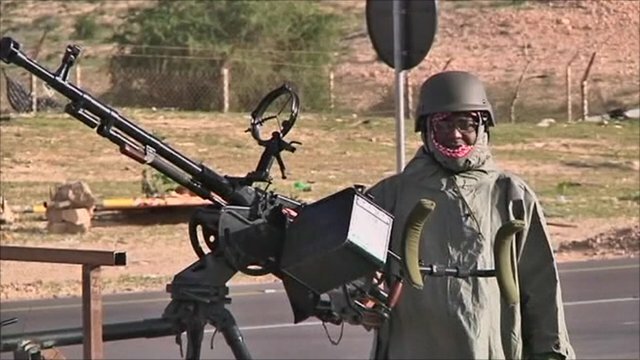 Confusion over heavy gunfire in Tripoli Jump to media player The Libyan government says its supporters have been celebrating in Tripoli by firing into the air, after its troops recaptured a key oil port in the East of the country. 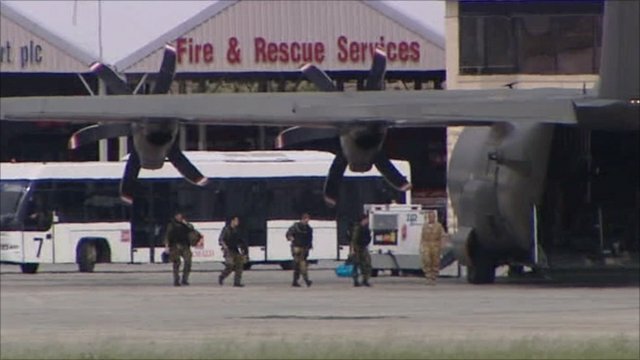 UK military plane 'shot at' in Libya Jump to media player The BBC's Nikki Fox in Malta has been speaking to some of those who were rescued from Libya by the British military, who described a "dangerous operation" in which one of the military aircraft was shot at. Libyan State TV has broadcast what it claims is a telephone conversation that took place between Richard Northern, the British ambassador to Libya - who left the country last week - and a spokesman for Libyan former justice minister Mustafa Abdel Jalil. A British diplomatic team who were detained in eastern Libya after landing there two days ago have been freed, the Foreign Office has confirmed.